Microbes and plants need nutrients. That’s where a small amount of specific fertilizers come in, to move towards these ratios. Organic matter generally can’t do it alone, so this is a vital step. There are several definitions of the word fertilizer. 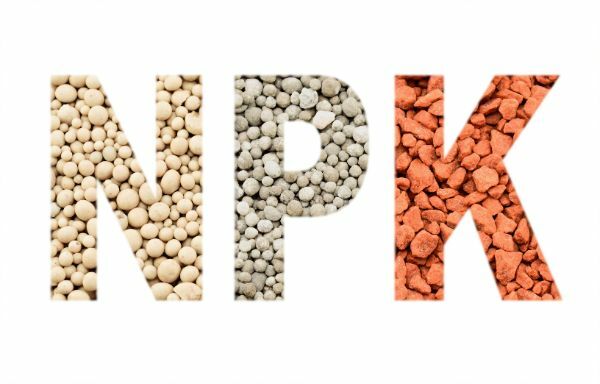 In many countries, in order to be considered a fertilizer, a product must have a certain amount of total nitrogen, available phosphate and soluble potash, often written as NPK. Notice that it’s available phosphate and soluble potash, not total. This has an unfortunate consequence for organic fertilizers. Nutrients in organic fertilizers are wrapped up in various organic compounds that need to be broken down by microbes before they become available to plants, as nature intended. This means an organic fertilizer will not qualify as a fertilizer and will look like poor value when compared to the high numbers of a chemical fertilizer. It will be sold as a soil amendment or perhaps a specialty fertilizer. Further, the law says a “complete fertilizer” only has to supply the three nutrients listed above. We know, of course, that plants need many dozens of nutrients, so it makes no sense to apply only three. In fact, applying any of these three indiscriminately often causes more problems than benefits. Also, fertilizers don’t have to list how much salt they have in them, or how much chlorine, or how much of any other nutrient we may not want. For example, muriate of potash, also known as 0-0-60, contains almost as much chlorine as potassium. It’s one of the most common fertilizers worldwide, is used in many NPK fertilizers, and may have caused more damage to our soils than any other fertilizer. Additionally, chemical fertilizers often include a slew of heavy metals, sewage sludge and toxic waste that don’t have to be listed on the label. This is a great way for industry to get rid of its toxins — right in your backyard, and you even get to pay them for the privilege! There are many definitions of the word organic, too. Petrochemicals are “organic” by this definition, but they’re certainly not good for soil health. I would be using this definition if I were teaching you about chemical pesticides because organic pesticides are simply pesticides that contain carbon and include some of our most poisonous synthetic pesticides used today. In biology, organic basically means “derived from living organisms.” We use this definition when we talk about organic matter in the soil. Most of the time, however, when we use the word organic we’re referring to more of a cultural definition, which not only means avoiding the use of all chemicals, but also focusing on improving the soil and soil food web, increasing biodiversity, cleaning up the air and water, using sustainable materials, and so on. When I refer to an organic fertilizer, therefore, what I mean is a fertilizer that would be allowed on an organic farm or garden under standards such as those put out by the International Federation of Organic Agricultural Movements (IFOAM) and the Society For Organic Land Care (SOUL), not necessarily one that is derived from living organisms. 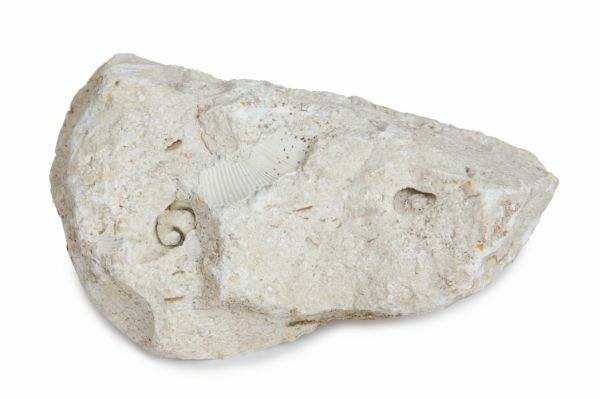 Calcitic limestone, for example, is a rock we often use, crushed into a powder so it’s easy to spread. Also, the organic label has become so misused that you shouldn’t buy your fertilizers based on the word organic alone. For example, I would absolutely never buy anything from certain large international garden product manufacturers, even if it was labeled organic. I know from their track record that the health of the planet is not a priority for them, and from looking at their organic products, that quality is not high on their list of priorities. An organic-based label is even less helpful because it only has to contain 15% organic materials. There are many other potentially misleading terms such as natural, environmentally friendly and balanced. What I do is either look for organic certification on the label, such as OMRI (Organic Materials Review Institute), or I read the ingredients. Most of the products I use have only one “ingredient,” such as kelp, lime, sea minerals or rock phosphate, and I try to avoid additives for the most part. Rock phosphate fertilizer is made from crushed phosphorite, a naturally occuring sedimentary rock. Also, keep in mind that just because a product is certified organic doesn’t necessarily mean it’s good for your situation, only that it’s made with allowed ingredients. So organic fertilizers, chemical fertilizers, mineral fertilizers, and soil amendments come with different definitions. I’m just going to refer to everything as a fertilizer to indicate that it’s something we buy in a bag or bottle to apply to our soil and plants. With all fertilizers, applying more is not necessarily better. In fact, it’s usually much worse. An excess of one nutrient results in a deficiency of another. Too much nitrogen can bring a deficiency of copper and potassium. Too much phosphorus can bring a deficiency of zinc and sulfur. Too much potassium can bring a deficiency of manganese and boron. Too much calcium or magnesium can bring a deficiency of many nutrients. There are thousands of relationships like this between nutrients in the soil. What’s important here is seeing why the application of NPK fertilizers and dolomite lime “for good measure” will cause problems more often than not. In the long run, you’ll get higher yields by applying less fertilizer. You just need to apply the right fertilizers, and that’s why a soil test is so crucial as one of the tools that help you decide which fertilizer to apply. I use a small number of mineral fertilizers that are mined naturally without the use of chemicals, and other fertilizers that come from plants and the sea. Note that while this list may look rather long, you’ll probably only need a handful of these fertilizers. The goal is not to use fertilizers indefinitely. 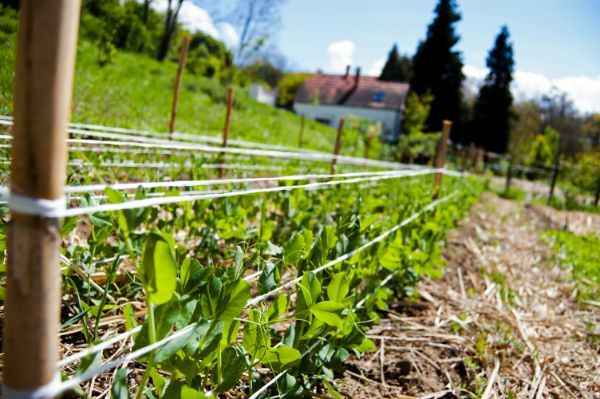 The majority of our fertility can be provided by mulch, compost and cover crops. I want to reiterate that point because we can’t sustainably bring in external inputs forever, but they are helpful to get the system working much more quickly and optimally. Naturally mined mineral products such as calcitic lime and rock dust can be incredibly beneficial for the garden. Calcitic lime is made from crushed limestone, which is a sedimentary rock composed largely of the minerals calcite and aragonite, composed of skeletal fragments of marine organisms. There are a couple of important points to note. We generally should only use natural products, not those that have been altered or mixed with chemicals, so be sure to check the label and ask first. Even for most of the mineral products we do use, an annual application (for good measure) is mostly unnecessary and potentially harmful. We should use them only when we know we need them, and as the landscape moves into balance, we’ll need them less and less, especially if we’re focusing on organic matter. Organic matter should still be the main focus, but it’s usually not enough on its own for optimal health. Fortunately, there are products that can greatly help us bring our ecosystems into balance more quickly. Many of the products out there, even organic fertilizers, bring in large amounts of minerals that are often expensive, unnecessary, and are potentially harmful if they aren’t needed. Other than rock dust, most mineral products are composed primarily of just one or two minerals, such as calcium and phosphorus. Generally, they should not be applied in much quantity without both a soil test and often visual verification of certain conditions in the garden. Let me give an example of why we need to look at both the soil test and the garden. Occasionally, a soil test may indicate you have plenty of phosphorus, but your lawn might be riddled with broadleaf weeds, a sure sign of a phosphate to potash ratio that is too narrow. 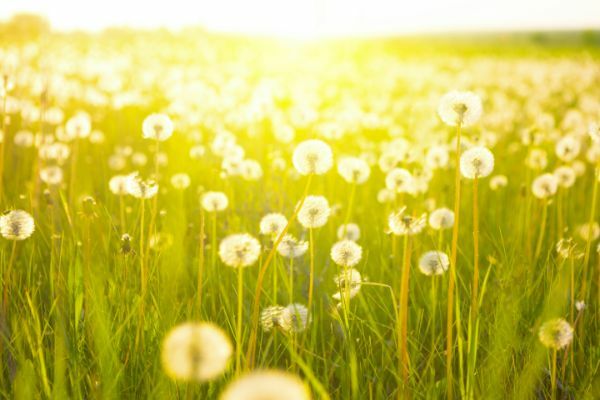 Dandelions are a broadleaf weed that can thrive when phosphorus is low. In that case, regardless of what the soil test says, I would probably bring in a source of phosphorus and more importantly, use several techniques to stimulate the biology in the soil. Soil tests are great, but we need to remember to look at our gardens, too. Conversely, sometimes a soil test will show you things you cannot see in the garden. When it comes time to fertilize, it used to be that some of the earlier rock fertilizer proponents recommended applying only one at a time to avoid having them interact, but now many people advocate applying them at the same time. For example, it’s now common practice for soil labs to recommend calcitic lime, soft rock phosphate and gypsum together. Any of these are best applied in spring or fall. Try to find products that are suitable for organic use, which means they may be labeled organic, but more likely you have to find out what’s in them. If possible, it’s best to avoid inappropriate additives such as binding agents. Some gardening resources go into great detail on the role of each of the nutrients in plant growth. I’m not going to do too much of that. Not that it isn’t interesting, but most nutrients have many different purposes in plant growth and to list them all becomes overwhelming. I will list a few points that are most interesting. Likewise, I won’t spend much time on diagnosing plant nutrient deficiencies through visual inspection because I believe this is much more complicated than it’s often made out to be. For example, a phosphorus deficiency shows up as reddish or purplish color on the underside of leaves, but magnesium deficiency can also cause this. Nitrogen deficiency shows up as yellowing leaves, starting with the lower leaves, but this can also be caused by moisture issues, cold weather, disease, and other nutrient imbalances such as a sulfur deficiency. That being said, some people use visual cues successfully along with other tools such as tissue testing, so perhaps I just haven’t tried hard enough. Many of the natural products organic gardeners used in the past are now unavailable to us because of their environmental consequences. For example, here are the meals we probably shouldn’t use anymore: blood meal, bone meal, alfalfa meal (although Alfalfa Green in Canada is making organic, non-gmo alfalfa meal), canola meal, corn gluten meal, cotton meal and soy meal, just to name the main ones. Let’s look at them in order. Blood and bone meal were great. Blood meal had the nitrogen and trace minerals and bone meal had the phosphorus and some calcium. But now there is the risk of spreading mad cow disease. Some scientists don’t think this is an issue, but some do. There is also a potential for heavy metal contamination in bone meal. 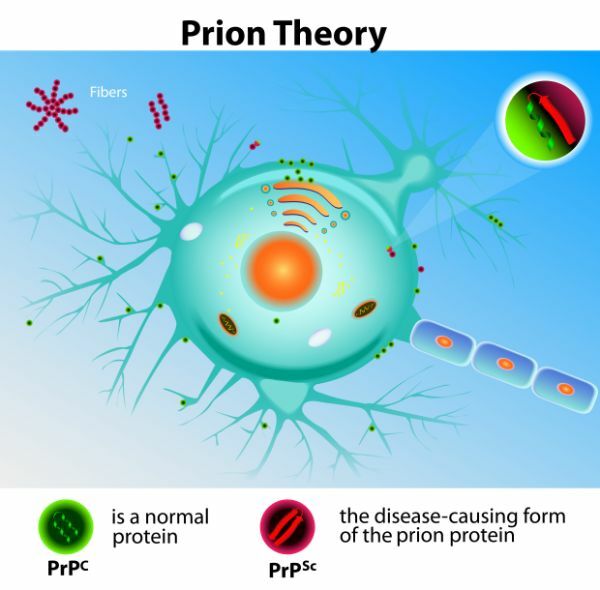 Exposure to the prions that cause mad cow disease can lead to Creutzfeldt-Jakob Disease in humans – a fatal neurological disease. Plant meals are mostly genetically modified now. Corn gluten meal is a good pre-emergent weed killer for certain weeds, but most corn is genetically modified. In the U.S., it might be possible to find a non-GMO source, but I suspect not for long due to cross-pollination. Canola, cotton, and soy are all genetically modified. Kelp, molasses and humic acids are still good organic fertilizers. Sea minerals and fish fertilizers are others that come from the ocean. In garden centers, you can find blended fertilizers, and you can find recipes online for how to blend together your own. 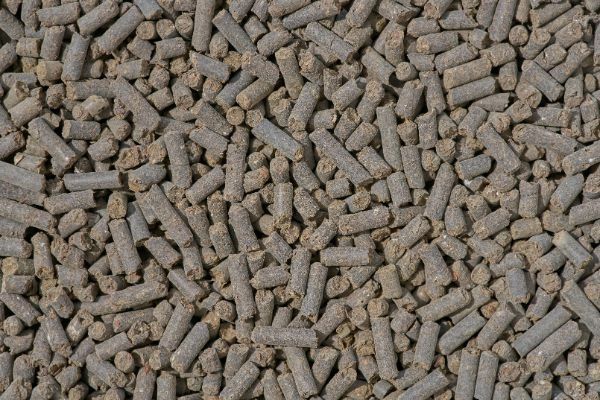 Either way, these will usually include many of the following ingredients: calcitic lime, dolomite lime, gypsum, rock phosphate, bone meal, guano, greensand, kelp meal, fish meal, and seed meals such as soy meal. When I first got into organic gardening, I was really excited about making my own organic blend. I think there is something very appealing to us as gardeners about this idea. We get excited thinking about feeding this mix to our plants. Then I learned more and gained more experience and realized none of my mentors did this, at least not with these ingredients. The reason is that we don’t know if our garden needs all of these things without a soil test. It may very well be that we are pushing the nutrient ratios further apart by adding all of this. I can see how adding a very small amount might stimulate microbial activity and provide some energy to the garden, but it would be much better to apply just the things we need. We can certainly take the rock dust and kelp meal and apply them without a soil test as well as other biostimulants, but for the mineral fertilizers, we should use them only when we know we need them. Does your soil actually need everything in this blended organic fertilizer? Excess soluble nitrate from seed meals, or nutrient leaching from overapplication of one mineral or another, can damage your soil and plant health. Many of our fertilizers are dry, such as crushed or ground-up rock. 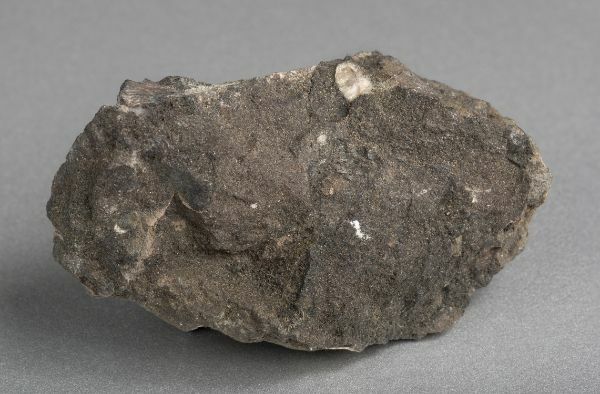 Examples are rock dust, calcitic lime and rock phosphate. They’re applied in the garden with a spreader or even by hand, or best of all, mixed thoroughly into the compost pile first. They’re generally broken down slowly by microbes throughout the year or over multiple years. Along with organic matter and microbes, these dry fertilizers are often the basis of a soil management program. I use them mostly for long-term soil building, although some of them are available to microbes and plants in the short term, too. A fine ground product is better than a coarse grind because it is more quickly available. Some consultants don’t mind a coarser product, but the fact is it can take decades for the nutrients to become available from it. Liquid fertilizers can be fast and efficient at improving overall plant health and correcting specific nutrient deficiencies when sprayed directly onto plants, called foliar fertilizing or foliar feeding. One study found them to be 8 to 20 times more efficient. They can help a plant deal with stress, give it some energy, and move it from vegetative growth to fruiting. Sometimes they’re sprayed directly on the soil, too. They’re especially important during the transition to a healthy organic garden when the plants can’t yet get everything they need from the poor soil. Paradoxically, they work best in a mineral-balanced and biologically active soil and don’t work as well as a rescue spray. You absolutely need sufficient calcium in your soil for them to work well. When I think of liquid fertilizers, I tend to think of broad-spectrum biostimulants such as liquid fish, kelp and sea minerals. But more recently, liquids that provide just one mineral are being used more and more to correct specific soil nutrient deficiencies. Liquid calcium is the main one that comes to mind. 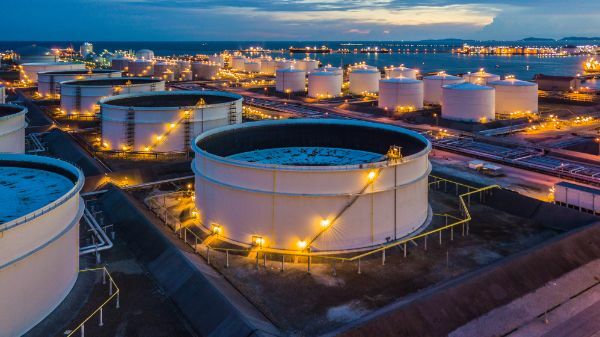 Not only does this save money, but drastically curtails the environmental consequences of mining and shipping large amounts of dry rock products such as lime. Liquid products aren’t a magic bullet to fix all nutrition problems, but they do give the soil and plant a kick to get to work. Sometimes they’re used to “untie” minerals such as calcium or phosphorus in the soil. 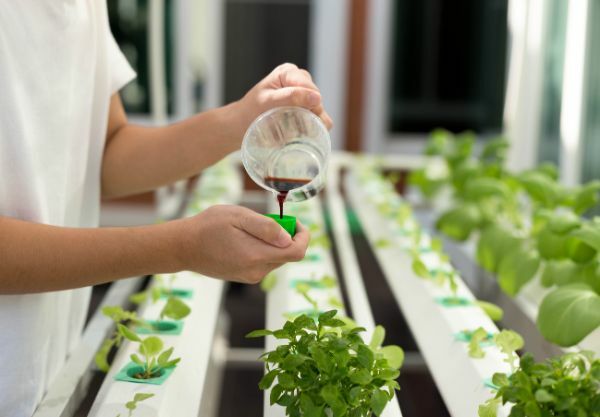 People usually associate liquid fertilizer with hydroponic growing, but it can be a valuable tool in the garden as well. You may have enough calcium on a base saturation test, for example, but a liquid calcium will often help make it available. A well-made liquid fertilizer directly feeds microbes and stimulates their activity to start working. Liquids can be applied through an inexpensive hose-end sprayer. A backpack or pump sprayer is even better because you can use rainwater at a warmer temperature than cold, potentially chlorinated, well or city water. The idea is to create a mist that thoroughly coats both sides of all leaves, although if you’re using microbial products, you need the openings on the sprayer to be big enough to allow all of the microbes through, so the mist shouldn’t be too fine. Fungal mycelium can be broken up if the filter is too fine. Foliar fertilizers are especially effective when applied to young plants, which are adept at taking up foliar nutrients. Liquids are also used during high-stress times, such as transplanting and disease-prone times of year. Many biostimulants can also be used as often as weekly throughout the growing season, and sometimes even in the winter. Foliar fertilizers are best sprayed in the morning or evening when the sun isn’t as hot or bright, and relative humidity is higher than in the afternoon. They work best when the pH of the final mix is close to 6.4, so an advanced technique is to move the mix toward that level. If you have a means of measuring pH, you can bring your mixture down with household or apple cider vinegar, or bring it up with baking soda. I don’t do this often in my sprays because baking soda and vinegar kill some microbes, and I almost always include microbial inoculants in my sprays. Some fertilizers can be difficult to find. You won’t find all of the ones I recommend at your local garden center. Most garden centers are oriented toward conventional home ornamental gardening. 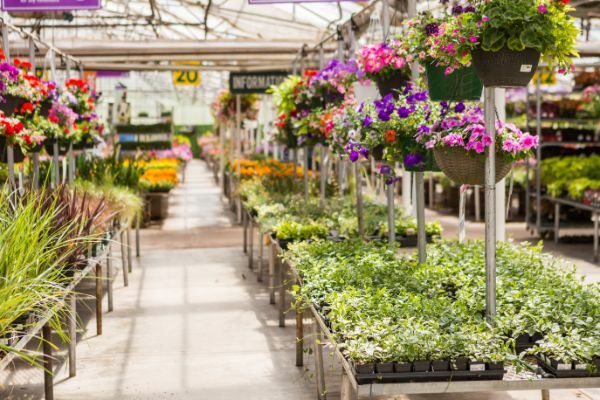 You’ll do a little better if you go to a farm supply store or a store that supplies the landscaping industry. You may also need to take your search online. I sell my favorite fertilizers right here and I keep my margins low, so my prices are very good. Many of the liquid products are economical to buy online and ship, but this isn’t the case with the mineral fertilizers unless you need just a small amount. But even for them, you can still use the Internet to locate a local source. Many mineral fertilizers will have come from a quarry on the other side of the country, or occasionally from another continent. Many of us question the sustainability and environmental consequences both of transporting these materials and in digging up the earth to get the minerals. I certainly don’t feel 100% comfortable with it, but I don’t know of a better option. Some rocks such as limestone are mined all over the world, so we should obviously go for a source that is relatively close to us. Other minerals will have to come from further away. We need to mine these minerals thoughtfully. Some say we can even restore the quarries to be more environmentally beneficial than they were when we started. Yet a good argument can be made that some of this won’t be sustainable. Neither is our health if we keep eating nutrient-poor food. 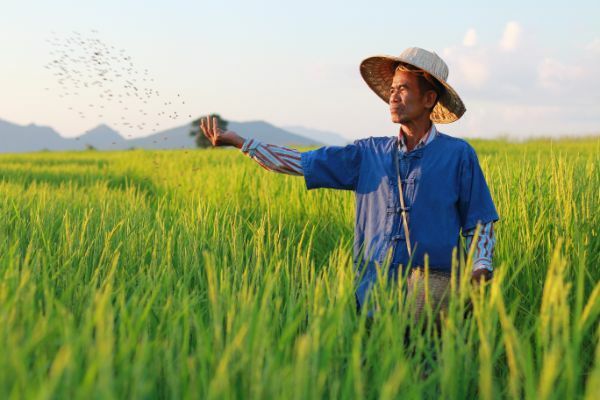 Certainly, the goal is not to keep using these fertilizers indefinitely in such large amounts, but rather as an interim measure to transition to a more balanced ecosystem that largely takes care of itself. Still, perhaps the long-term solution is to use more concentrated liquid fertilizers and homeopathic doses of nutrients. This is not only more sustainable but more affordable. We’re on our way and as you’ll see, people are already doing it successfully. Traditionally, the best time to apply the soil-building mineral fertilizers is in spring or fall. Many soil consultants have a preference for fall, but if it’s spring right now and you have a soil test showing you what you need to do, start now. It can take three or more years to correct nutrient imbalances in the soil, so I like to get going right away. In spring, the soil is just “waking up,” as the microbes become more active. Other fertilizers are applied regularly throughout the year, especially liquid fertilizers and biostimulants that keep a crop growing. On a farm, the soil-building mineral fertilizers might be applied all at once because it can become uneconomical to make too many passes over the field. In a small garden, I prefer to split my fertilizer up into two to four applications per year. For example, instead of applying 40 pounds of calcitic lime all at once in the fall, I might apply 20 pounds in the fall and 20 pounds the following spring. When it comes to determining how much to apply, the soil lab will tell you that. For those who like math, here’s a brief explanation of one way they might figure it out if they’re using the base saturation numbers. It’s not as confusing as it initially looks, but it’s also not necessary for us to worry about this because they will do it. If the calculations don’t interest you, you can stop here for today. 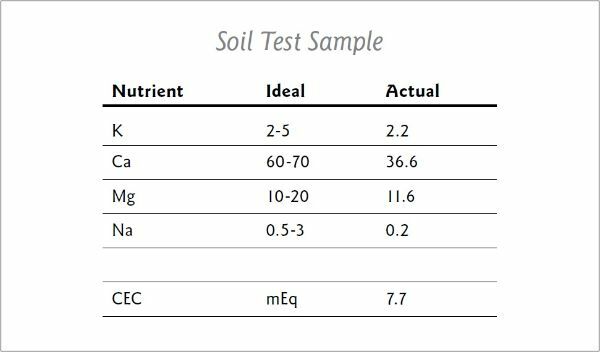 Let’s use a sample soil test to go through the equation. The soil test gives us a CEC number. A sandy soil will usually have a CEC of between 0-10, while a clay soil will often be from 20-50. You can see from the equation that a lower CEC soil is going to require a smaller application of fertilizer. This makes sense because a sandier soil can’t hold as much nutrient, so if we add too much it will just leach through. The value from our soil test is 7.7. Let’s break down the rest of the equation using calcium as an example. We would need 400 pounds per acre of calcium to occupy 100% of the cation exchange sites in a soil with a CEC of 1. That number never changes. The math that went into determining this number is beyond the scope of this lesson, but it involves looking at the weight of the soil and the weight and molecular structure of the calcium ion. The second number in our equation, therefore, is 400. To do this part of the calculation for the other main cations, we would use 240 pounds for magnesium, 780 pounds for potassium and 460 pounds for sodium. The phosphorus to potassium ratio should be 1:1 in most soils, so phosphorus is 780 pounds. The sulfur number is often put at half of phosphorus, so 390 pounds. You don’t have to memorize these numbers, as they’re right here. Next, we can easily determine our base saturation deficit. If we’re trying to get a calcium base saturation of 68%, which is often considered ideal with a proper Albrecht test, and if our current base saturation of calcium from the above soil test is 37%, then our deficit is 31% (68-37=31). You can see that the bigger the deficit, the more fertilizer you’ll need to add. Last, we need to know how much of the required nutrient is in the raw material we’ll be using. Let’s say in this case that we’re using calcitic lime as our calcium source, with a calcium content of 35%. If it was only 25% calcium, we would have to use more of it. The soil lab will probably round down to 3,000 pounds per acre, so approximately 70 pounds per 1,000 square feet. That’s how much calcitic lime we theoretically need to add to bring the calcium level up to 68%. Of course, there is margin for error in all parts of the equation, so it’s not exact. Also, the soil is highly complex and certainly does not represent perfect lab conditions, so things will definitely work out differently than we plan, but this is a good start. I would split this into four applications throughout the year, which works out to 17 pounds each application. Thai farmer applying fertilizer by hand. Personally, I would bring it down to 10 pounds per application. The more I learn, the more I feel we should make fertility changes slowly and see if we can partially improve soil fertility levels by also improving the health of the soil food web. This calcitic lime is going to supply perhaps 4% magnesium, so that should be taken into account, too. Don’t worry if these numbers are a bit much. As you can see, this can get rather complicated, so you can just let the soil lab do it for you. They can also factor in the Reams test and other wisdom. I wanted to show you how to do it so you can understand the factors that affect fertilizer recommendations. Mostly, we want to use fertilizers derived from naturally mined rock and from plants, although many of the plant fertilizers we used in the past are now from genetically modified crops. We can use a mix of dry and liquid fertilizers to achieve short and long-term goals, applied throughout the growing season, with spring and fall being the most important. It’s generally best to stay away from using purchased blends of fertilizers, because some of the ingredients will supply nutrients that actually throw our soil out of balance, and some may be from genetically modified plants. We may have to do a bit of searching to find the fertilizers we need, but in the end, it’s definitely worth the effort. I now sell the most important ones here.